Manish Sisodia, Delhi Education Minister has written a letter to the Vice- Chancellor of DU, Yogesh Tyagi seeking the extension of the tenure of the governing bodies of all 28 government- funded colleges for a period of three months. This move came after the tenure of the governing bodies of these Delhi Government funded colleges got over on March 8. Of the twenty-eight State Government funded colleges, twelve are fully funded while the remaining sixteen receive 5% funding from the Delhi Government. Colleges like Deen Dayal Upadhyay College, Bhagini Nivedita College, Acharya Narayan Dev College, Keshav Mahavidyalaya and others are fully funded by the state government while the rest sixteen include colleges like Gargi College and Kamala Nehru among others. It is to note that these governing bodies are fully responsible to take all decisions for the smooth functioning of a college, including the admission and appointment process. Earlier too, the Delhi government had stopped funding in these colleges without the consensus on the GB nominees, which resulted in the teachers not receiving their salaries. “It would not be desirable that the colleges are run without properly constituted governing bodies. It is therefore suggested that the term of the existing nominees be extended,” Sisodia’s letter further read. 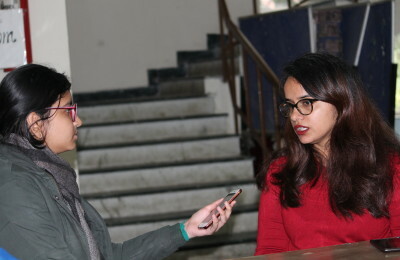 Vice-Chancellor Yogesh Tyagi is yet to comment upon the matter. However, an official in the administration said that the university might take some decision on the extension by the next week.